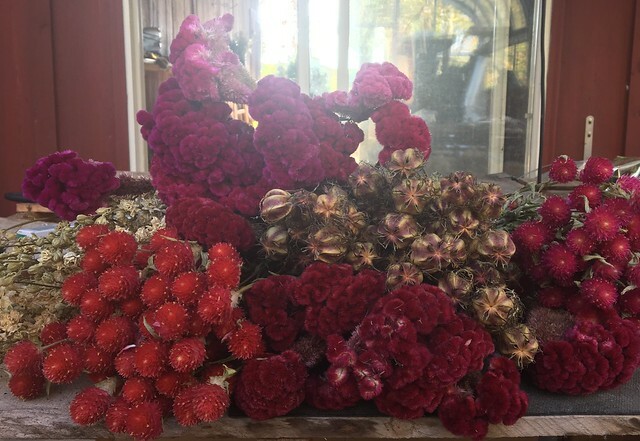 We’ve always loved the look of Amy DeGood’s floral arrangements (we featured her Del Ray business Good Gardener last year). 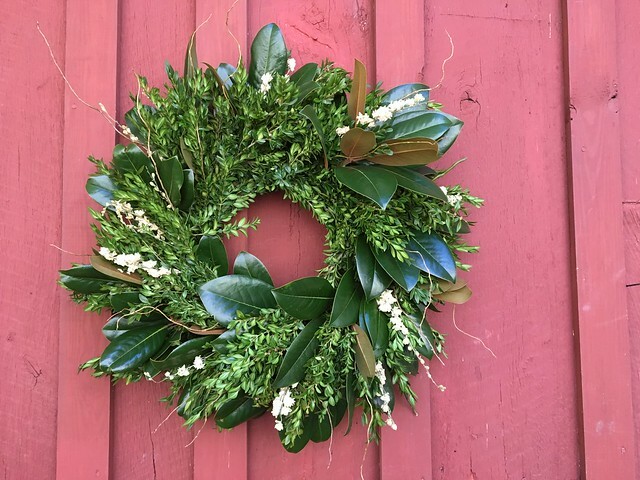 Now that the season for locally grown flowers has passed, Amy’s transitioning to the use of evergreens to create simple, elegant and natural wreaths. You can buy them at an open house in Del Ray this Sunday. 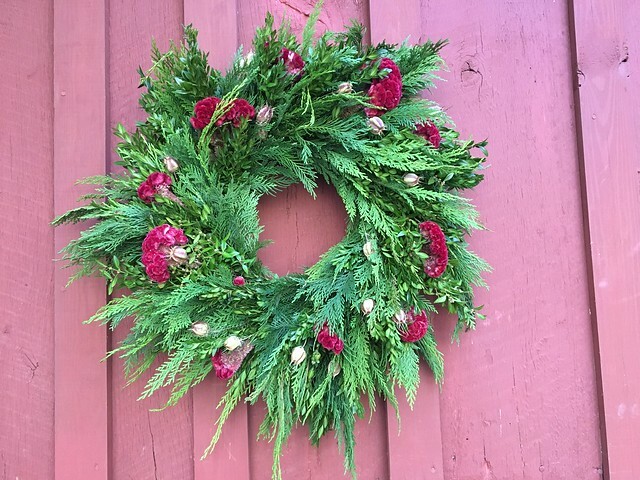 Amy makes a variety of sizes and style wreaths. She mixes branches of evergreen, boxwood and magnolia from her farm (and collected around the region) with dried flowers and curly willow branches to create an elegant layered design. 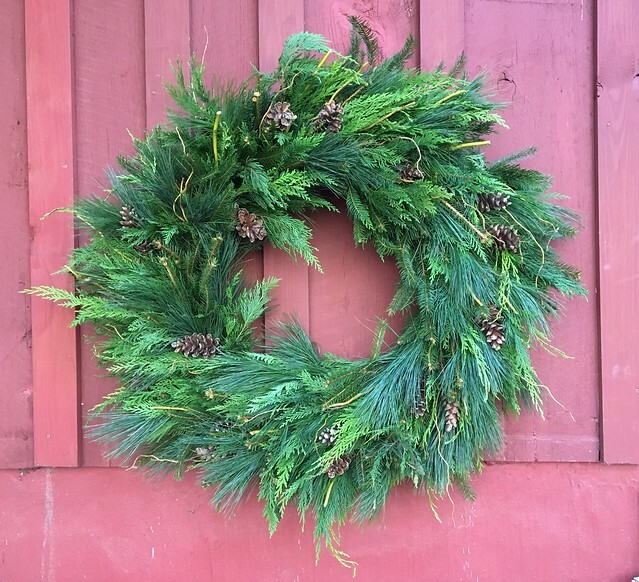 Amy says the key to keeping a natural wreath looking good well into the holiday season is to keep it cool, protect it from the rain/wind and give its branches a squirt of water if temperatures are unseasonably warm. 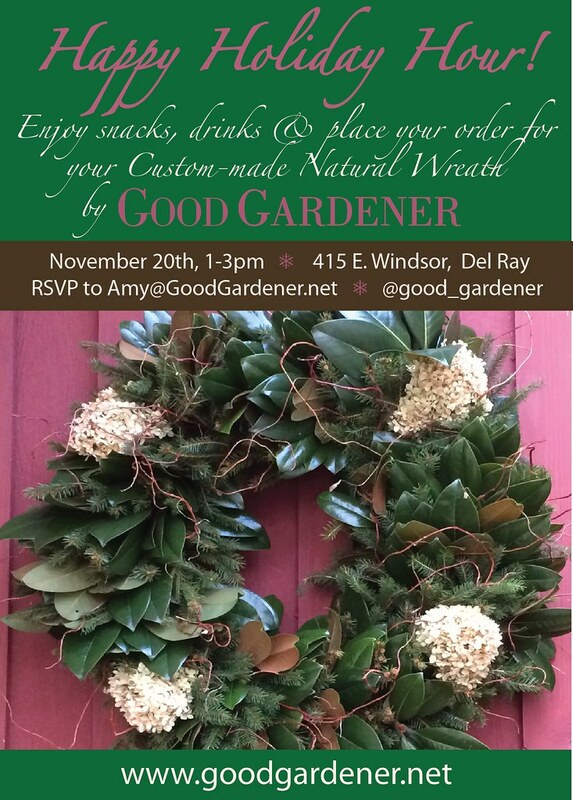 Amy will be selling her wreaths at a sale this Sunday, November 20 from 1-3 pm at 415 E. Windsor in Del Ray. Quantities are limited, so the earlier you come to the sale, the better to secure your order. 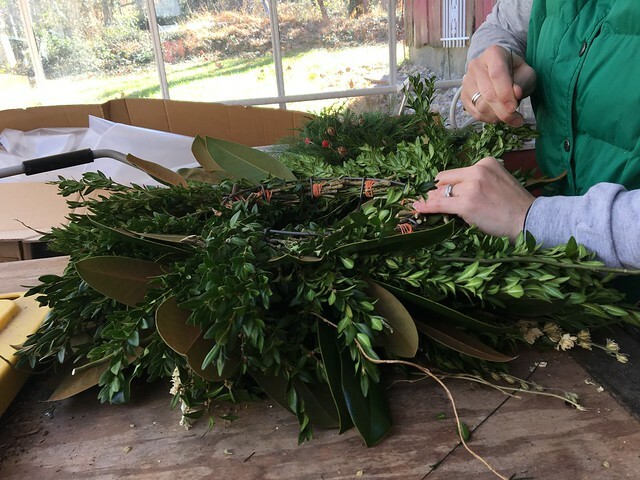 Wreaths will be made the week of Thanksgiving and will be available for pick-up in Del Ray the first week of December. Amy is hosting the sale with friend Katie Kathman who will also be selling her line of Ever natural skin care products. If you’d like to see Amy and Katie’s products in person at the event on Sunday, RSVP directly to Amy.